BUSHMILLS SALMON & WHISKEY FESTIVAL 2018 — Tartine Restaurant at Distillers Arms. Why not join us this year at the Bushmills Salmon & Whiskey Festival where Celeb Chef Paula McIntyre has been confirmed as the Special Guest! Alongside the 'foodie' focus, visitors can expect live music and dance performances and an array of the very best of handcrafted products at Naturally North Coast and Glens Artisan Market. There'll also be a family fun zone and street performers throughout the weekend. 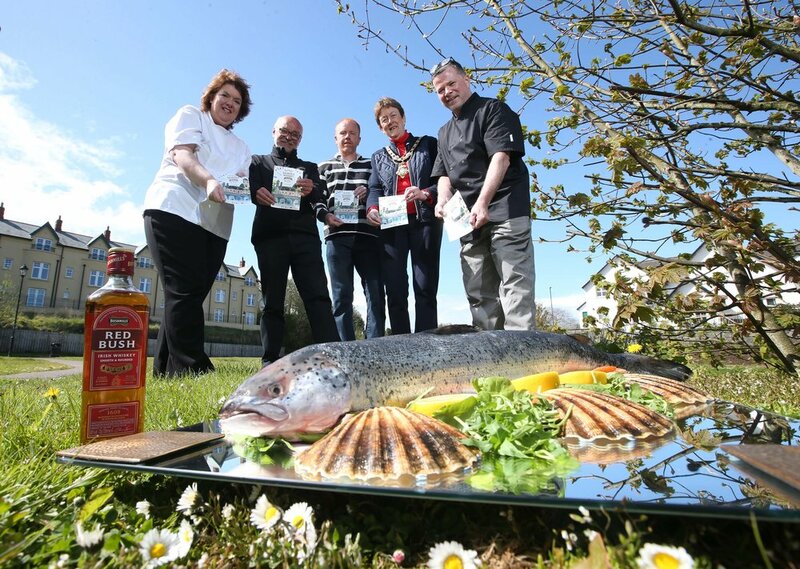 To find out more about Bushmills Salmon and Whiskey Festival go to www.visitcausewaycoastandglens.com or ring Bushmills Visitor Information Centre on 028 2073 0390. Tartine will be running the Bushmills' "Bake Off" competition on the Saturday. Any entries are more than welcome and will be on display in the Food Marquee at the Main Street Car Park, where Paula will be judging the entries from 4pm. For more information visit our facebook page. To download an entry form click here.